cheers to the vegetables with the word sweet in their name. this soup honors a few of them with shining colors. i made this soup a few weeks ago and thought i would spread the love. yes, love. i have come to accept that yes, i am an iowa girl who LOVES sweet corn. the more i travel around the states, i realize that i put corn in more than 50% of my dishes just because i think they taste better with it. apparently that isn’t normal? 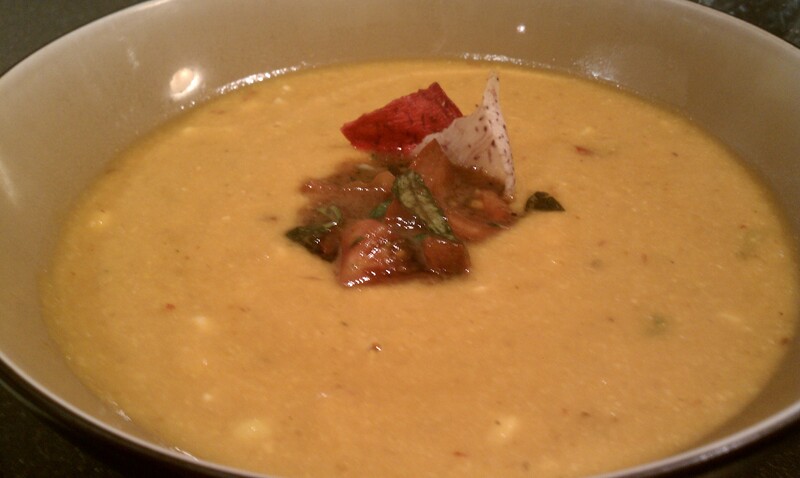 needless to say, the main inspiration for this soup that takes the stage is my beloved sweet corn. cover 3 sweet potatoes in tin foil and throw in the oven at 400F for 30-40 min. in soup pot cook 6 slices of bacon until crispy. once cooked, remove bacon and drain some of the bacon grease, keeping enough to saute a few veggies. add in diced onions, jalapeno, leeks, celery and corn—cook down over medium heat until onions are translucent and throw in a little salt and pepper love for kicks. add in 1.5 boxes of chicken stock. stir everything around. once sweet potatoes are done baking, cut them into pieces (don’t have to be small, just chunks) and throw them (gently) in the soup–i left the skins on mine because i enjoy them. lastly, add in the diced chipotle peppers with the sauce still covering them. they add such a great smokey/spicy flavor. cook all ingredients together for 10 minutes, stirring occasionally. now for the fun. ladle the soup into a blender and puree the soup. pour the pureed soup back into the pot–continue to do this until 3/4 of the soup is blended to get that creamy consistency with still a bit of texture. set the temperature to low heat and add in the diced bacon. lastly, stir in 1.5 cups of whipping cream and let simmer on low for 10 minutes to thicken. the cream compliments the heat of the peppers and brings out the sweetness of the corn perfectly! i garnished the soup with a dollop of these tomatoes and some root chips but it is great standing solo. YUM! What a beautiful looking soup that sounds absolutely delicious. Thank you for sharing you recipe. 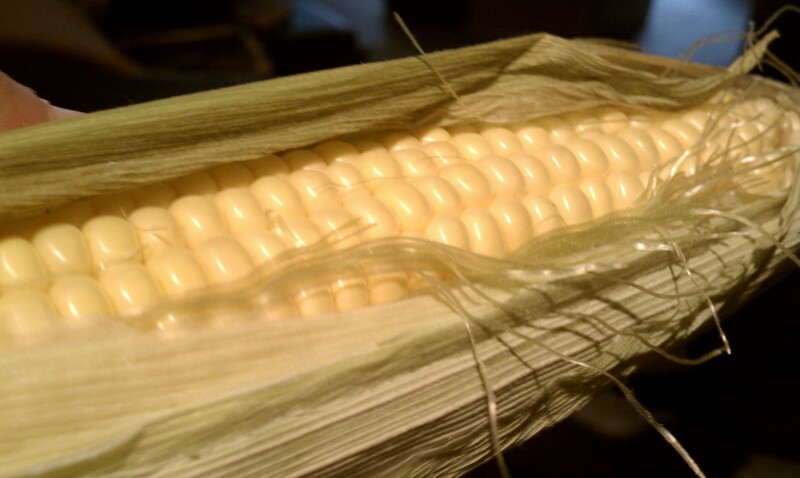 By the way, corn in a lot of recipes is a good thing as far as I’m concerned. Thanks, Karen! I checked out your blog and really love the type of stuff you write and share about! I will continue to follow!